As part of the CETA Market Access Program for EU Business, two Workshops will be organized, with the aim of providing strategic insights for EU business on the opportunities and challenges of the Canadian market and enabling and expanding a sustainable information sharing network amongst EU stakeholders. These EU Workshops will bring together selected industry leaders and EU networks for closed door discussions, to share insights on the business climate for EU businesses in Canada. What better country to visit trade fairs or participate in trade fairs than Belgium? Its strategic location in the heart of Europe makes small Belgium a great business hub. Brussels is in the top 5 of European cities that attract businesses. No wonder a small country like Belgium is host to so many interesting trade fairs! No matter what your industry is, no matter where your interests lie, Belgium will have a trade fair for you. Belgium’s central location also means that you don’t lose much time travelling back and forth. Cities like Paris, Amsterdam and London are less than a two-hour train drive away from Brussels. Business hubs like Rome, Madrid, Stockholm, Berlin, and Athens can be reached in less than half a day. Why not combine a visit to a trade fair with another business trip? And since Belgium is a very compact country, you will always have a great choice of hotels nearby, many of which also offer meeting facilities. A third bonus: you don’t have to worry about the language. Belgium has three official languages and a knack for languages, so people will be happy to talk to you in English, French, Dutch and sometimes even other languages such as German or Spanish! So which trade fairs are interesting for you? The list is long! From fisheries and agriculture to engineering, from boats to chocolate, from horses to industrial maintenance, take your pick! One of my personal favourites for B2B networking is Infosecurity Belgium in March, but the process instrumentation fair M+R Belgium and Belgium’s largest Safety & Security event Secura are certainly worth a visit as well. Or how about the networking event Transport and Logistics in October? Wood construction is the topic of the Bois & Habitat fair voor B2B professionals. And don’t miss Empack, the packaging fair in November. It is widely known that Belgium is a great country for business: a strategic location, a great logistical infrastructure, a skilled workforce and an ideal test market for new projects and products. And while the high level of language skills will be useful for businesses that want to enter this market, the only way to attract customers is to have your materials translated into the local languages. After all 75% of potential clients want to see your products in their native language, according to a Common Sense Advisory Study. In Belgium that means Dutch (spoken by approximately 60% of the population, based in Flanders), French (approximately 40%, based in Wallonia) and German (approximately 1%, based near the German border). That’s right, Flemish is not in the list. How come? The answer is simple: Flemish is not the official name of the language, it is a common term for Belgian Dutch. Belgian Dutch is one of the two main variants of Dutch, the other being Dutch for The Netherlands. The difference between these two is similar to the difference between American English and British English: while we easily understand each other, we can tell immediately if a text is one variant or the other. We use the same dictionaries and share the same language resources, but we have different accents and we use different styles, different terms etc. And it is not only a question of linguistic differences, but also of cultural differences. The Dutch are more direct, while in Belgium people prefer to be more reserved and polite. And that is essential for the tone of voice of your materials if you want to reach out to new clients – even a basic decision such as whether to use the formal or the informal form of the personal pronoun “you” may well differ per country. Should you use Belgian Dutch to target the Flemish market? The next question is of course: should you use Belgian Dutch to target the Flemish market? The answer is in the first paragraph of this article: “75% of potential clients want to see your products in their native language”. That means that any materials meant to attract customers or to appeal to readers should be in Belgian Dutch. Marketing materials, brochures, social media messages, TV commercials… More neutral materials such as instructions, manuals etc. are mostly translated into one and the same “Dutch” – i.e. in a neutral language in which more colloquial expressions and typical terms for either variant are avoided. Belgian Dutch translators are ideal for such translations as well, since they are more aware of the differences between both variants (but that is between us, don’t tell the Dutch I said so). I look forward to helping you enter the Belgian market! The idea of exporting can be bewildering. For a step-by-step how-to guide, ExportWise attended Invest Ottawa’s “The Basics of the Exporting Process” delivered by Christian Sivière, a trade expert with Solimpex Montréal & Ottawa. In 2010, following a 30-year career in international freight-forwarding, Christian Sivière founded Solimpex, an import-export consultancy. He helps SMEs grow internationally and provides training on international trade, supply-chain management, importing, exporting, logistics and customs compliance. He lectures at Champlain College Montréal, for the Canadian International Freight Forwarders Association in Toronto, and gives seminars and webinars for various trade organizations and personalized training for companies. He also writes articles for Materials Management & Distribution magazine. If you’re an entrepreneur, you likely have a GST/HST number. To start exporting, call the Canada Revenue Agency and adjust your business number for this purpose. This becomes your exporter number. 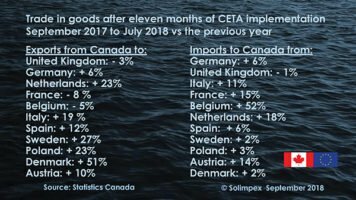 “Looking at exporting laws is a complex issue, and I’m not a lawyer, but I want to point that out that you have to investigate it,” Sivière said. “If you’re selling to Germany or Brazil or China, see which laws apply.” The Vienna Convention, ratified by 84 countries, states the obvious — the seller transfers ownership with relevant documentation; the buyer pays — but this isn’t a global solution because it doesn’t establish ownership during the transfer, leaving that to each country’s national laws. Ownership could stay with the seller, or could be transferred to the buyer as soon as the contract is formed. “Incoterms” are rules defining the obligations for the delivery of merchandise. Short for “international commercial terms,” they outline who pays for what costs and where risks shift from buyer to seller. Incoterms are updated every 10 years; the current terms were updated in 2010. EXW, FCA, FAS and FOB are acronyms for Incoterms that state that the buyer pays the shipping costs. Under CFR, CPT, CIF and CIP Incoterms, the exporter pays for shipping costs, but if something happens during shipping, it’s the buyer’s loss. For the last three, DAT, DAP and DDP, the exporter pays to ship and bears all the risk. When you state a price, attach an Incoterm so terms for each party are clear. Sivière says many exporters aren’t well-versed in Incoterms. “If you have a transaction, for example, with a country such as Venezuela, which has a shortage of hard currency, you’ll want your buyer to get a letter of credit and, for a price, you have the option to get a Canadian bank to confirm it,” Siviere said. If your buyer refuses a letter of credit, consider credit insurance, “a great way to manage risk if your partner defaults on payment or goes bankrupt,” Sivière said. He recommended Export Development Canada (EDC), which sells account receivable insurance through an easy-to-use online portal. Exchange rates can fluctuate during negotiations and the amount you’re promised may change due to this. Some got caught in this with the British pound’s plunge after Brexit. Sivière recommends opening a U.S. and/or euro account at your bank to minimize exchange losses. You’ll want this if cargo is damaged in transit. Every insurance company will have different rates, but they share the same internationally established rules. The cheapest options won’t cover loss due to theft and will apply only if there is total loss (for example, if the ship sinks; if it capsizes and only half the load is lost, the insurance won’t apply.) The most expensive options will cover total and partial loss. If you don’t buy insurance, read the fine print — carriers have limits of liability. Many have contractual obligations of, say $2/lb for your goods — but that’s usually not enough. In addition, there are time limits on these claims, so note the expiration date. The Canadian International Freight Forwarders’ Association is a good reference. The commercial invoice is a standard invoice issued by the exporter. A pro forma invoice is for customs purposes only, when items, such as product samples and goods for a trade show that will be coming back, aren’t to be sold. Other documents are also required. If you’re exporting food or plant material, you’ll need certificates for them. On these forms, describe the product, quantity, unit price, and total price in the currency being paid. Be clear: If you’re sending a Samsung Galaxy 7, say it’s a phone; it may otherwise sound like a missile to a customs officer. Also include the Incoterms that apply and the terms of payment. Some countries will require a certificate of origin, particularly those in the Middle East and Latin America. This document is usually certified by a Chamber of Commerce. 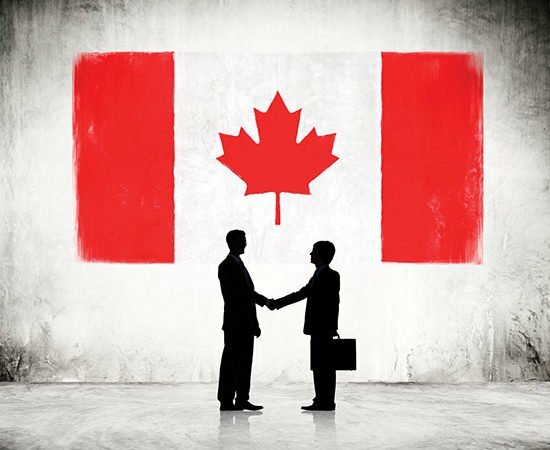 Canada has more than a dozen free-trade agreements. Many exporters don’t leverage them. Wood packaging materials must be heat-treated or fumigated and noted by a seal. Sometimes you need an export permit, as you do to export to North Korea. See Global Affairs Canada’s “area control list.” Also check the export control list, which deals with products. It mainly applies to military goods, but there are other provisions, including technology. Be mindful of sanctions Canada has with certain countries — Iran, Russia, Belarus and Zimbabwe, for example. You might still be able to export, but make sure you comply with the sanctions and get an export permit. Also check American sanctions. Airbus sold 118 planes to Iran in Jan. 2016, but needed clearance from the U.S. because more than 10 per cent of the planes’ parts were of U.S. origin. Canadian products often have U.S. parts and components, so be mindful of that. Complete an export declaration if you’re shipping goods at a value of $2,000 or more, keeping in mind we have an exemption with the U.S.